Why Is There Still a Red Rotary Phone In The Governor's Office? Why Is There Still a Red Rotary Phone In The Governor’s Office? This photo of newly elected Governor Janet Mills signing a document on her first day in office was widely seen on social media, but did anyone notice the outdated, old rotary phone behind her? What's that for and why hasn't it been replaced? We did some investigating. This particular phone appears the be a red version of the Model 500 rotary phone that was in use starting in the 1950s until the widespread use of touch-tone dialing in the 1980s. You would think that the state would update the technology instead of having a 60-year-old phone in the Governor's office. I started to do some digging to try to find out how long this phone has been there, and found that it went back at least as far as when Senator Angus King was Governor of Maine. 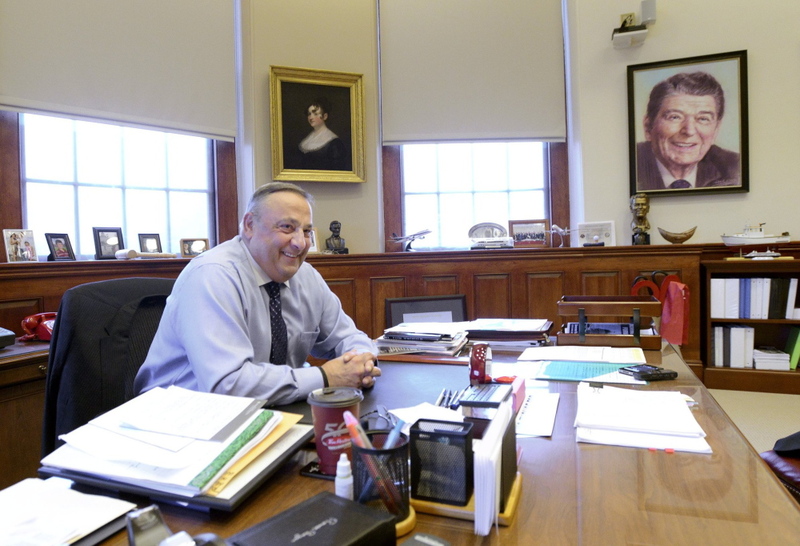 You can see Governor LePage here with the phone, Governor Baldacci had it as you can see in this photo right behind the woman's elbow, and Senator Angus King has the red phone in his office as Governor King in this photo, right behind him on the right. I couldn't find any photos with Governors McKernan or Brennan with it, but that just may be because not many photos of them in their office are readily available on the Internet. So what exactly is this phone for? Danny Cashman of the Nite Show used to work for Governor Baldacci before he became a Maine late night talk show host. He's had him on his show several times. If I remember correctly, that is a direct line for state police to access the governor in case of emergency. Literally, “the red phone“. I remember governor Baldacci used to like to tell the story that the phone rang, I think on his first day in office. It turns out they were just testing the lines. So there you have it. I guess if it's only used for one thing, why bother replacing it after all these years? How awesome would it be though if it rang and Governor Mills picked it up and said, "Yes Commissioner?" Source: Why Is There Still a Red Rotary Phone In The Governor’s Office?